A delivery man was hospitalized after a police officer responding to a call hit the rear tire of his bicycle, officials said. 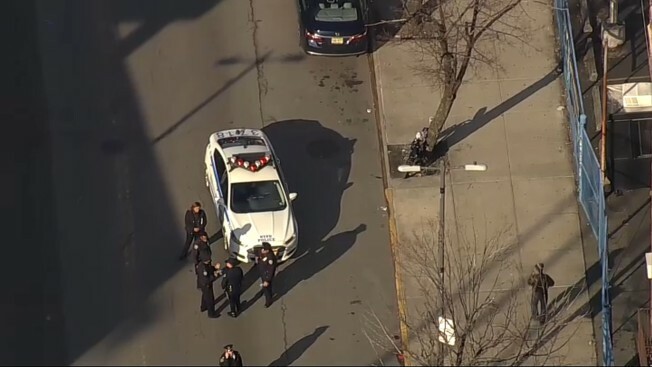 The cyclist was traveling near East 153rd Street and River Avenue in the Concourse Village section of the Bronx around 3:45 p.m. Monday when a police car responding to a call tapped the bicycle’s rear tire, the NYPD and the FDNY said. The delivery man was taken to Lincoln Hospital in serious condition, but was expected to survive, police and the fire department said. The police car’s lights and sirens were on when it hit the bicycle, the NYPD said. Police didn’t immediately release the delivery man’s age, and it wasn't immediately clear what injuries he sustained.